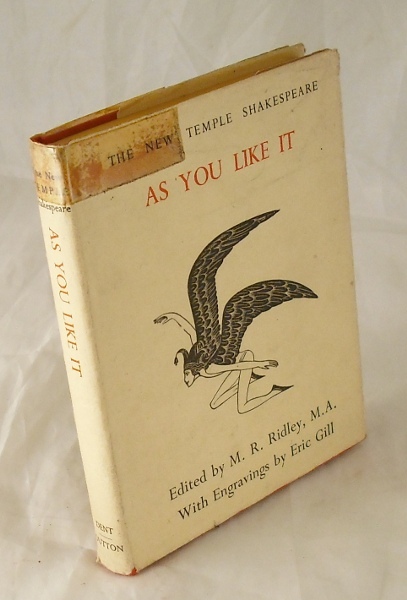 New Temple edition of Shakespeare's As you Like it, featuring two engravings by Eric Gill. Red cloth. 32mo. [xix] 130pp. 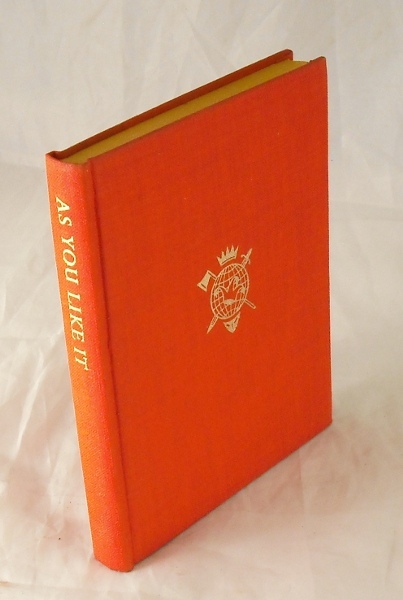 Dust jacket is price-clipped with small tears to extremities and some tape repairs to top of spine. 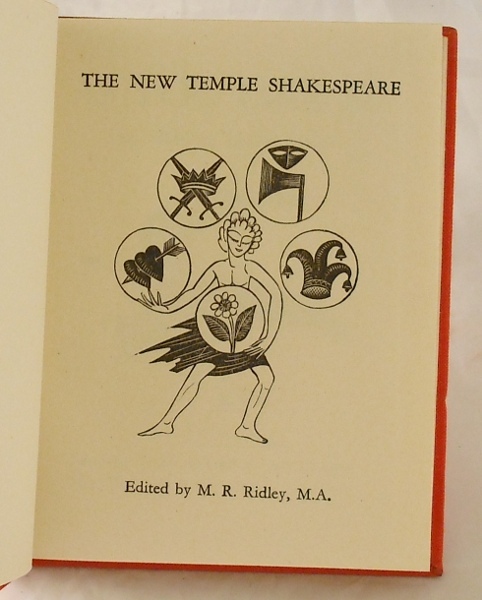 Previous owner's inscription to ffep. Volume is bright and clean. Very good in a fair+ DJ.